1. 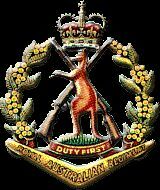 The name of the incorporated association (in these rules called "the Association") is THE 8TH BATTALION ROYAL AUSTRALIAN REGIMENT ASSOCIATION INCORPORATED. (a) To unite all former members of the 8th Battalion, The Royal Australian Regiment. (b) To continue the commemoration of the Long Hai Day Memorial Service on the 28th day of February in each year, following the format of the inaugural service held at Nui Dat, South Vietnam in April 1970. (c) To commemorate the Battalion's birthday on the 8th day of August in each year. (d) To provide welfare, financial and moral support, as may be required, to members and persons eligible in accordance with Rule 5, to be members of the Association and their immediate family. (e) To maintain contact with - (i) The 8th/9th Battalion, the Royal Australian Regiment. (ii) The 2nd/8th Australian Infantry Battalion Association. (iii) The Return Services League of Australia. (iv) The Royal Australian Regiment Association. (v) Any other organisation or Association having similar aims and objectives as the Association, at the discretion of the management committee. (f) To organise reunions and other social activities as may be required from time to time on behalf of the members of the Association. (a) To take over the funds and other assets and the liabilities of the present unincorporated Association known as "8th Battalion, Royal Australian Regiment Association." (b) To take such steps by personal or written appeal, public meetings or otherwise as may from time to time be deemed expedient for the purpose of procuring contributions to the funds of the Association, by donation, annual subscriptions and otherwise. (c) To invest and deal with the income and property of the Association. (d) To subscribe to, become a member of and co-operate with any other Association, Club or Organisation whether incorporated or not having similar objectives to the Association but the Association shall not subscribe to or support with its funds any Club, Association or Organisation which does not prohibit the distribution of its income and property among its members. (e) To print and publish any newspapers, periodicals, books, newsletters, pamphlets and other literature that the Association may think desirable for the promotion of its objects. (f) To take any gift of property whether subject to any special trust or not, for anyone or more of the objects of the Association but in case the Association shall take any property which may be the subject of any Trust, the Association shall only deal with the same in such manner as is allowed by law having regard to such Trust. (g) To borrow or raise money either alone or jointly with any other person or legal entity in such manner as may be thought proper and to secure any moneys borrowed by whatever means the Association thinks fit. (h) To do all such other things as are incidental or conducive to the attainment or furtherance of the objects and the exercise of the powers of the Association. 4A. (a) The management committee of the Association shall consist of a President, Vice President, Treasurer and such number of other members as the members of the Association at any general meeting may from time to time elect or appoint. A member of the management committee, other than the secretary, must be an ordinary member of the Association. The management committee shall have the general control and management of the administration of the affairs, property and funds of the Association and is empowered to interpret the meaning of these Rules and any matter relating to the Association on which these Rules are silent. The management committee may exercise all of the powers of the Association described in Rule 3. (b) To maintain the National aims of the Association, State branches may be formed and, as necessary, branches may be raised in major provincial areas. The raising of each branch is to be authorised by the management committee. (c) The operation of all branches is to be governed by the requirements of this set of rules. The committee of each branch may contribute matters for consideration by the management committee and will be consulted by the committee in all matters affecting the Association Nationally. (ii) any of the following persons appointed by the management Committee -  a member of the Association's management committee;  a member of the Association;  another person. (b) If a vacancy happens in the office of secretary, the members of the management committee must ensure a secretary is appointed or elected for the Association within one (1) month after the vacancy happens. (c) The management committee may appoint and remove the Association's secretary at any time. 5. (a) Any person wishing to join the Association may make application to become a member and upon payment of the subscription and acceptance by the Association shall become a member and be bound by these Rules and pledge to support the Association. (i) Any person who served on the posted strength of 8RAR in the period from 8 August 1966 to 30 October 1973. (ii) Any person from any unit or corps or foreign army attached to 8RAR for a period of one day or more. (iii) Any immediate family member of a person eligible for membership in accordance with sub-rule 5(c)(i). (d) There will be an unlimited number of Association supporters. An Association supporter shall be a person not entitled to ordinary membership who, by payment of the relevant fees set by the management committee, indicates their support for the Association without partaking of all rights granted to members by these Rules. (e) Only ordinary members shall be entitled to seek or to hold elected office within the Association. Association supporters shall not have any voting rights within the Association. (f) Every person who at the date of incorporation of the Association was a member of the unincorporated Association and who prior to the date of incorporation agrees in writing to become a member of the Association, shall be admitted by the management committee to the same class of membership of the Association as that member held in the unincorporated Association. (g) The application for membership shall be made in writing, signed by the Applicant and shall be in such form as prescribed from time to time by the management committee. (h) No person unless a member of the Association shall be supplied with or have access to the names of members without the authority of the Secretary. 6. (a) At the next meeting of the management committee after receipt of any application and the fee applicable for any class of membership, such application shall be considered by the management committee, who shall thereupon decide upon the admission or rejection of the applicant. (b) Any applicant who receives a majority of the votes of the members of the Management Committee present at the meeting at which such application is being considered shall be accepted as a member to the class of membership applied for. (c) Upon the admission or rejection of the application for membership, the Secretary shall forthwith give the applicant notice in writing. (d) A person shall become a member on and from the date on which his name is entered or renewed by the Secretary in the official records of the Association, provided that his annual subscription shall first be paid. The management committee may at any time prior to the entry of a person's name on the official records of the Association determine that the name shall not be entered or re-entered as the case may be. (e) There shall be no right of appeal against rejection or termination of membership of the Association. (f) The Secretary shall keep a register of the names and residential addresses of all members of the Association. 7. (a) The membership fees for each class of membership shall be fixed by the members at any general meeting. (b) The membership fees shall be payable at such time as the management committee shall decide. 8. (a) The management committee shall hold office from the date of their appointment until the next annual general meeting. At the annual general meeting, the management committee shall retire but shall be eligible, upon nomination, for re-election. (i) Any member of the Association may nominate another member to be an office bearer. (ii) The nomination shall be in writing and signed by that member and the proposer and lodged with the Secretary at least seven (7) days before the annual general meeting at which the election is to take place. (iii) A list of candidates’ names shall be presented at the annual general meeting. (iv) Votes shall be cast by show of hands at the annual general meeting. (v) If there are an insufficient number of candidates nominated, nominations may be taken at the floor of the meeting. (c) Any member of the management committee may resign his office at any time, such resignation to be effective on the date on which the Secretary is notified in writing. Any member may be removed at a general meeting where the member can be given an opportunity to present the member's case. The question of removal shall be determined by a vote of the members who are present at that general meeting. There shall be no right of appeal from any such decision of the members. (d)The management committee may appoint any member to fill a casual vacancy on the management committee. Such appointment shall remain in place until the next annual general meeting. 9. (a) The management committee and each State branch committee shall meet at least once in every two calendar months to ensure the objects of the Association are attained. (b) The management committee shall meet more frequently if, on requisition in writing by not less than one third of the members of the management committee setting out the reasons for such meeting, the Secretary convenes it. (c) A quorum of the management committee shall consist of more than fifty percent (50%) of the members elected or appointed to the committee and shall include either the President or the Vice President. If within half an hour from the time appointed for the commencement of the management committee meeting, a quorum is not present, the meeting shall be cancelled. (d) An agenda for meetings of the management committee shall be prepared by the Secretary and provided to each committee member not less than seven (7) days before the date of the meeting. (e) At meetings of the management committee, the President shall preside as Chairperson, or in his absence, the Vice-President. 10. (a) The first general meeting shall be held at such time, not being less than one month nor more than three months after the incorporation of the Association, and at such place as the management committee may determine. year and preferably, although subject to the foregoing, in conjunction with the Long Hai Day commemoration. The exact date/time will be advised each year by the management committee. (1) The receiving of the management committee's report and the Statement of Income and Expenditure, Assets and Liabilities and Mortgages, Charges and Securities affecting the property of the Association for the preceding financial year. (2) The receiving of the auditor's report upon the books and accounts for the preceding financial year. (3) The election of members of the management committee. (4) The appointment of an auditor. (ii) On the requisition in writing signed by not less than one third of the members presently on the management committee or not less than twice the number of ordinary members than the number of members on the management committee, plus one. (d) A requisition mentioned in Clause 10(c)(ii) shall clearly state the reasons why such general meeting is being convened and the nature of the business to be dealt with. (e) A quorum for any general meeting shall be the number of members on the management committee plus one. No business can be transacted at any general meeting unless a quorum of members is present. The general meeting shall be adjourned if the quorum is not present within thirty (30) minutes after the time on which the meeting was to commence. (f) The Secretary shall convene a general meeting by giving not less than seven (7) days notice to members in such manner as the management committee shall determine. The notice shall clearly set out the agenda for the meeting. (g) The President shall be the Chairperson of any general meeting or in his absence, the VicePresident. Every question, matter or resolution shall be decided by a majority of votes of the members present, who shall each be entitled to cast one vote. However no member shall be entitled to vote if his annual subscription has not been paid by the date of the general meeting. (h) Voting shall be by a show of hands or, by written proxy signed by an absent member. The proxy must be in favour of a member of the Association. 11. (a) The Secretary shall cause full and accurate minutes of all questions, matters, resolutions and other proceedings of every management committee meeting and general meeting to be entered in a book to be open for inspection at all reasonable times by any financial member who previously applies to the Secretary for that inspection. (b) For the purposes of ensuring the accuracy of the recording of such minutes, the minutes of every management committee meeting shall be signed by the Chairperson of that meeting or the Chairperson of the next succeeding management committee meeting verifying their accuracy. (c) Similarly, the minutes of every general meeting shall be signed by the Chairperson of that meeting or the Chairperson of the next succeeding general meeting. 12. (a) Subject to the provisions of the Association's Incorporation Act 1981, these rules may be amended, rescinded or added from time to time by a special resolution carried at any general meeting. A special resolution is one which requires a three quarters majority of members who are in attendance at the general meeting, and who have a right to vote. (b) However, no such amendment, rescission or addition shall be valid unless the same has been previously submitted to and approved by the Chief Executive of the Department administering the Act. 13. (a) The management committee shall provide for a Common Seal and for its safe custody. (b) The Common Seal shall only be used if it is authorised by the management committee and every document to which the Seal is fixed shall be signed by a member of the management committee and shall be countersigned by the Secretary or by a second member of the management committee. FUNDS AND ACCOUNTS 14. (a) The funds of the Association shall be kept in the name of the Association in a Bank decided by the management committee. (b) Proper books of account shall be kept and maintained by the Treasurer. (c) All expenditure shall be approved or ratified by the management committee. (d) Cheques shall be drawn by the Treasurer and signed by any two of the Treasurer, Secretary, President and Vice-President. (e) If deemed expedient to do so, payments may be performed electronically by the Treasurer. Any such payments are to be authorised by one other person who is authorised to countersign cheques. (f) As soon as possible after the end of each financial year, the Treasurer shall prepare a statement containing particulars of- (i) The income and expenditure for the financial year just ended. (ii) The assets and liabilities and of all mortgages, charges and securities affecting the property of the Association at the close of that year. The closing date of the financial year is 31 December in each year. (g) The Treasurer's statement shall be examined by an Auditor who shall present a report upon such audit to the Secretary prior to the holding of the next annual general meeting. 15. The management committee shall provide for the safe custody of books, documents, title deeds and securities of the Association. 16. The income and property of the Association whencesoever’s derived shall be used and derived solely in promotion of its objects and in the exercise of its powers. (ii) it has surplus assets in accordance with the meaning given by section 92 (3) of the Act.